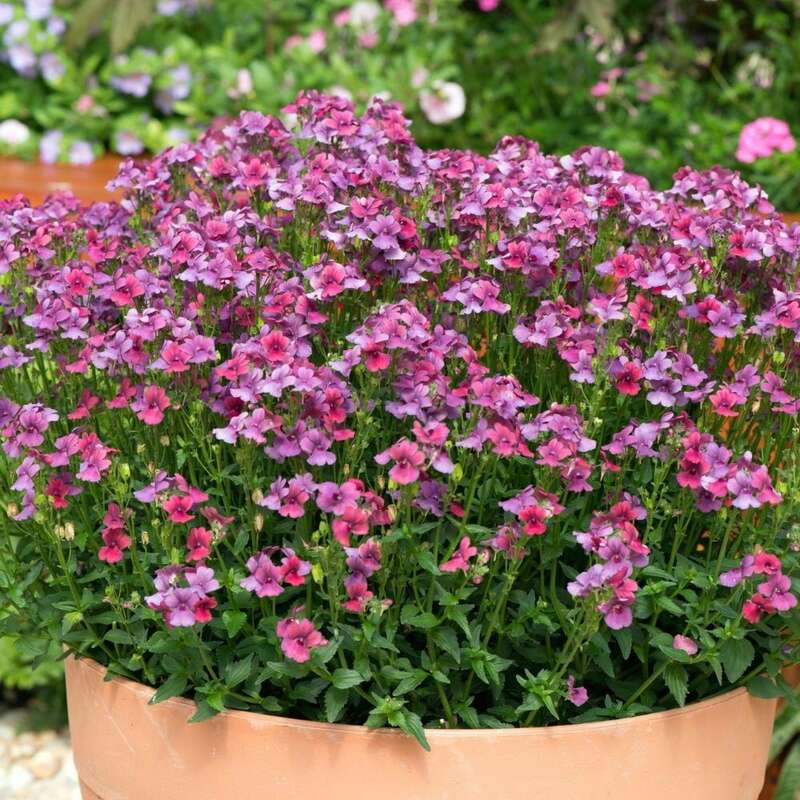 Buy Nemesia Framboise ('Fleurfram') (PBR) nemesia Framboise: Gorgeous raspberry/pink toned flowers. Gorgeous raspberry/pink toned flowers smother this long flowering, compact, bushy upright plant. Mix it with vibrant orange for a 'wow' display or shades of blue for a softer palette.